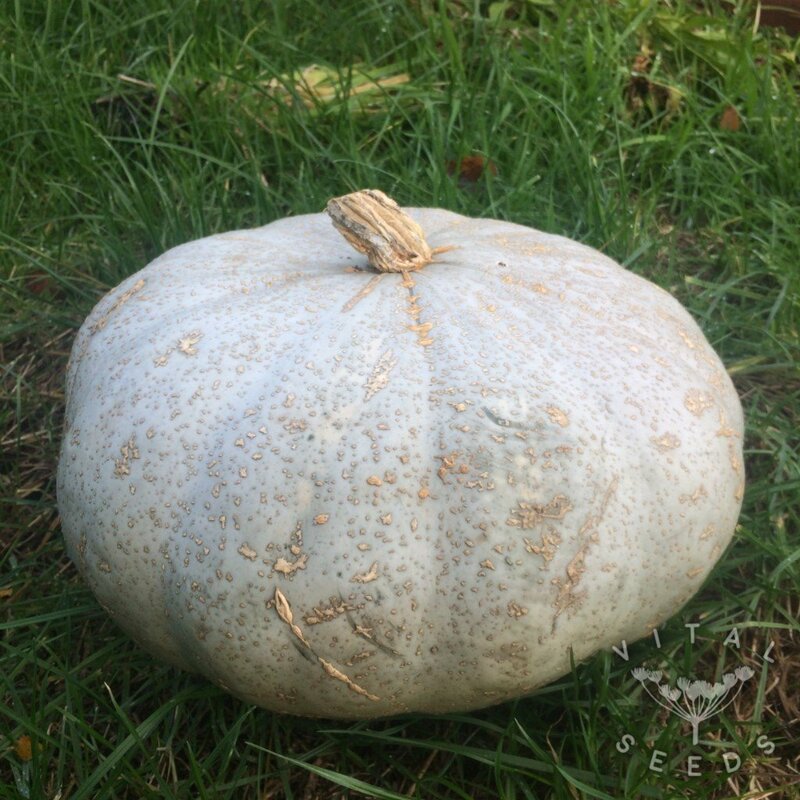 A large, beautiful, and delicious hubbard-type pumpkin, with excellent storage qualities . This is a variety bred by Carol Deppe in Corvallis, Oregon in the USA. She spent years selecting for vigour, good cool-soil emergence, small seed cavity and premium flavour. We believe this variety is a serious contender to Crown Prince F1. It is quite a large variety with a crunchy, sweet flavour. They were extremely prolific in our 2018 squash trials and Ronja’s clear favourite in taste. They are great for cooking and even raw – real pleasure to munch on.